Online Ordering System For Restaurants | Why Pay Vendor Fees? Simplified for you and your staff, without disruptive workarounds and ballooning commissions. Today’s online ordering systems have made life easier for the diner, but often at the expense of the restaurant. 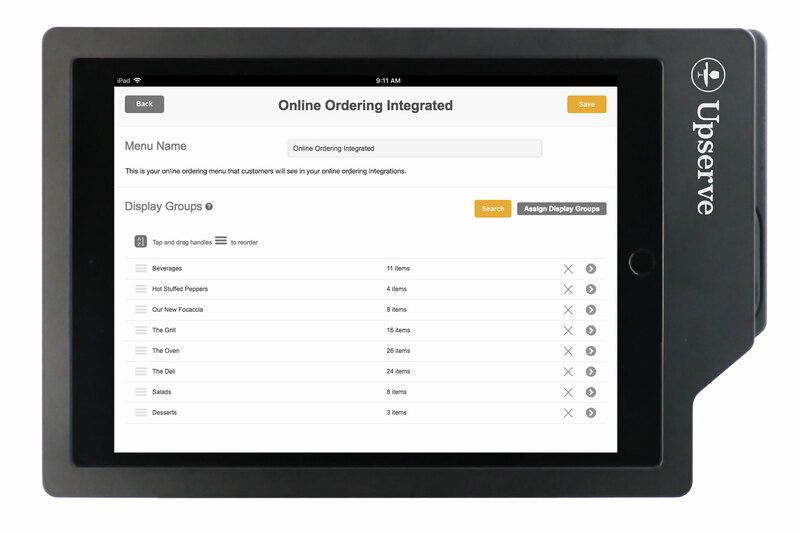 It’s time you own your online ordering platform. Customize it with drool-worthy photos of your delicious food and enjoy added revenue without the added labor, hardware or ballooning commission costs. 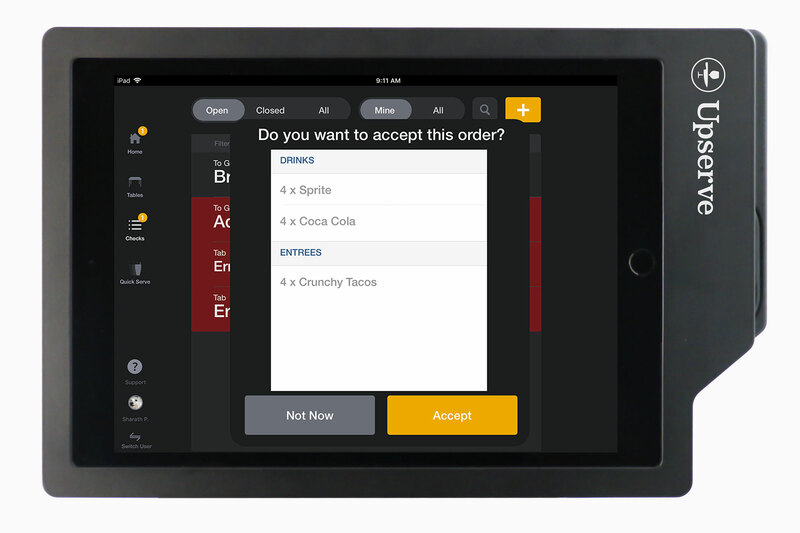 Upserve Online Ordering integrates with your Upserve POS, formerly known as Breadcrumb, providing your restaurant with the ability to add an additional revenue source without disrupting in-house operations. 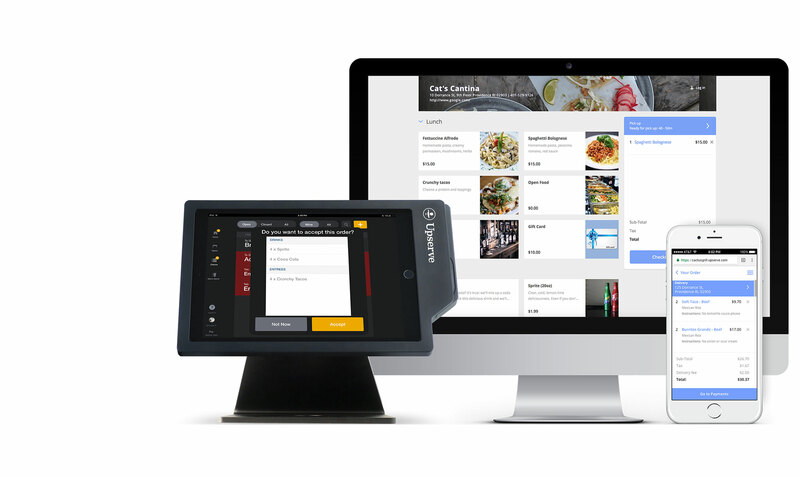 Say goodbye to running multiple systems and hello to accurate orders, happy diners, and some extra dough. Because most restaurant ordering systems operate alongside (instead of integrated within) existing systems, the result is hassle after hassle that can include everything from minor miscommunications to a full-blown kitchen backup and in-house customers waiting hours for their food. While most restaurants resort to adding an additional shift designed to handle online orders only, we’ve got another solution. Because Upserve integrates directly into Upsere POS, there’s no need to waste time transcribing orders from a fax or email into your POS system. Instead it’s automatically taken care of for you, eliminating the need for extra labor and multiple menus, while reducing the chance of human error. 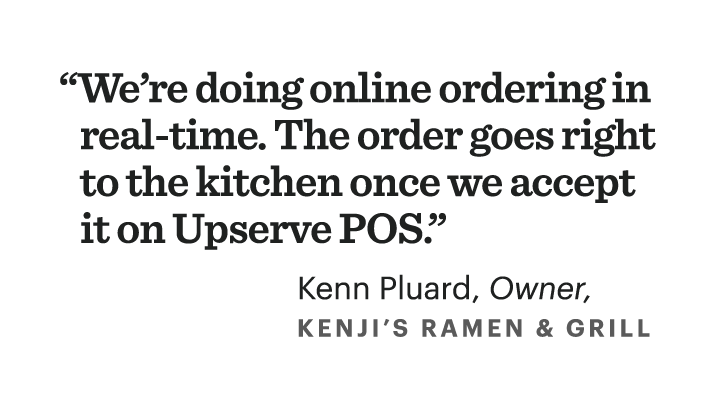 With Upserve online ordering, your restaurant can capture insights and market directly to your customers, regardless of whether they ever step foot in your restaurant. Upserve grows the guest profile pie into a delicious, insightful story that you can read in one place. Did you know that 60% of consumers have ordered food online in the last six months? Not only is that a lot of money, it’s a lot of information. Just because your online diners aren’t in your restaurant it doesn’t mean you don’t have a chance to market to them and keep them coming back again and again. 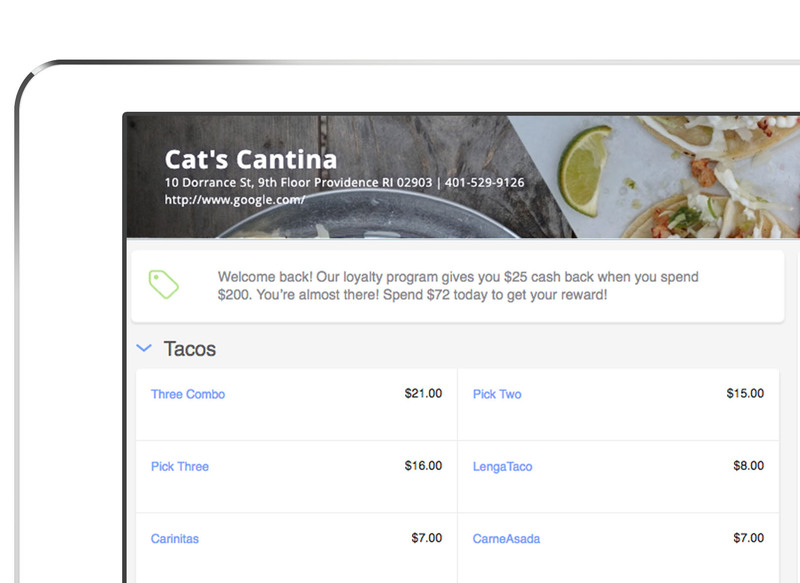 Want to compare how your Online customers spend compared to your in-house diners? Pull a Guest List to gain insights. 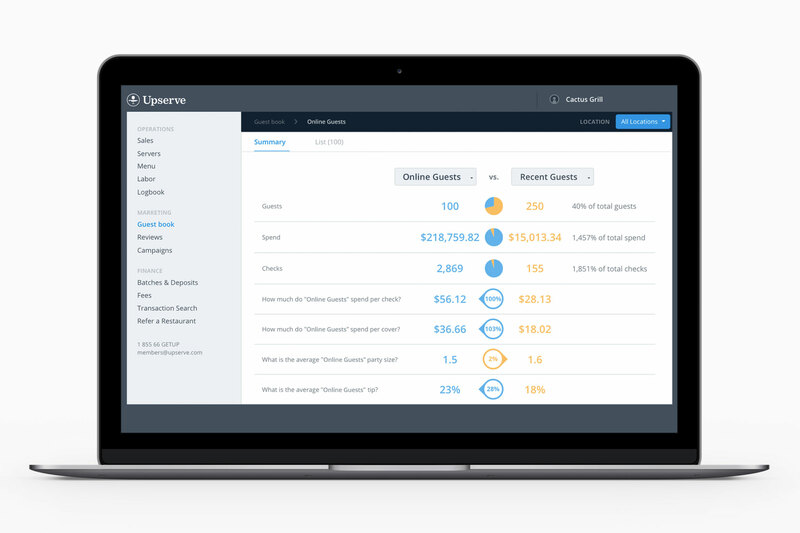 Upserve Online Ordering is connected to Upserve Loyalty, which means that you can drive engagement and highlight your killer rewards program while your customers peruse your online menu. Your Upserve POS system also gathers insights about your online customers throughout the process. Wouldn’t you want to know if your online guests are spending more money per check than your in-house guests? We thought so. Whether your guests are on their way home and reach for the phone or they’re burning the midnight oil on their laptop, your diners will always have access to your menu. And when you can embed your Upserve-empowered online ordering webpage right into your website, your customers never have to go searching. Plus, with built in Facebook and Google login, it’s even easier to order from you again, and again. Forget about multiple menus for each service. Menu management in Upserve POS means less hassle – 86’d Items, price changes, description changes, etc. all happen in the restaurant POS and are reflected on your online ordering website. It may be 7AM but one of your guests wants you to supply the team lunch. Don’t miss out on a tasty ticket. Your guests can order up to seven days ahead. Plus, you can send “Your order is ready” notification by email or text.